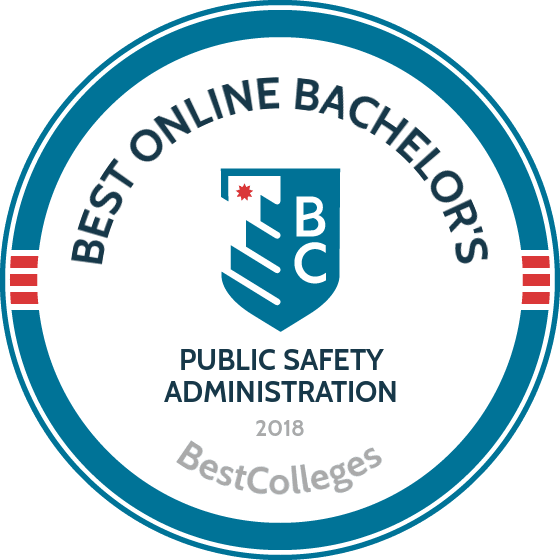 What Are The Best Online Bachelor's in Public Safety Administration? What Will I Learn in an Online Bachelor's in Public Safety Administration? Qualified public safety professionals will always be in demand. According to the Bureau of Labor Statistics, jobs in public safety offer competitive salaries and are growing steadily. The Bureau of Labor Statistics projects 7% to 8% growth for police officers and detectives, firefighters, and emergency management personnel between 2016 and 2026. An online bachelor's degree in public safety administration qualifies candidates for positions in public safety administration, such as emergency management director or crisis response manager. This page will help you find the right program for your academic and career goals. Keiser offers a bachelor's of science in public safety administration degree that is designed for students with an associate degree in a related field. Transfer students must have a minimum of 24 credits of coursework and complete all lower division general education requirements before moving on to major coursework. Graduates are prepared to pursue careers in fire departments, police departments, emergency services, and governmental bureaus. This 120-credit public safety administration degree includes 48 credits of upper-division major courses on topics such as public policy, hazard mitigation, public relations, business ethics, critical infrastructure protection, and information resources management in the public sector. Students must also complete 12 credits of upper-division general education courses on professional writing, intergovernmental relations, workforce diversity, and urban government social policy. Applicants must submit official high school transcripts or GED scores to be considered. Keiser is accredited by the Southern Association of Colleges and Schools Commission on Colleges. FAU offers a bachelor's of public safety administration that can be completed in both online and hybrid formats. Students can choose one of two specializations: law enforcement or disaster management. The law enforcement specialization emphasizes criminal studies topics like analysis, prevention, and criminal justice management. The disaster management specialization emphasizes planning and management during disasters and includes a government internship. This 60-credit online bachelor's degree in public safety administration includes 48 credits of free electives and core requirements, including a capstone course. The remaining 12 credits are completed in a student's specialization. Online courses are delivered asynchronously through Blackboard, allowing students to complete coursework at their own pace. Applicants must have a high school diploma or GED and a minimum GPA of 2.0 on all transfer credits to be considered. FAU is accredited by the Southern Association of Colleges and Schools Commission on Colleges. UMUC is known as a pioneer in distance education and offers it online courses through the Learning Experience Online (LEO) classroom. This online platform allows students to use and replace eBooks at no cost. UMUC offers a bachelor's of science in public safety administration that is ideal for those with professional experience in the field. The school also uses a unique achievement-based admissions process that privileges essays and projects over standardized test scores. Courses at UMUC are delivered asynchronously online in eight-week sessions. This 120-credit public safety administration program combines both theory and real-world applications to prepare students for careers in first response. The curriculum includes courses on a variety of topics, such as research and technology, ethics, leadership, and contemporary practices in public safety. Students must also complete 49 credits of elective courses. Transfer students can apply up to 90 credits towards their degree as long as they were completed at an accredited institution. UMUC is accredited by Middle States Commission on Higher Education. SPC is recognized as one of the nation's best vocational trade schools, serving more than 20,000 distance learners each year. The school offers 52 online programs, including a bachelor's of applied studies in public safety administration that is designed for public safety professionals and those who can transfer 60 credits of college-level coursework in a related field from a regionally accredited institution. Students in this 120-credit public safety administration degree online can choose one of four specializations related to their previous training: criminal justice, emergency management and homeland security, fire science, or a cross-discipline of these three. The cross-discipline specialization provides students with an opportunity to explore anything from the socio-economic impact of gangs to analytical fire protection or the evolution of emergency management. Applicants must have a minimum GPA of 2.0 to be considered. This program is currently unavailable for residents of Massachusetts, Minnesota, and Nevada. SPC is accredited by the Southern Association of Colleges and Schools Commission on Colleges. UMFK offers a bachelor's of science in public safety administration that emphasizes public administration, public safety, and management. This interdisciplinary major is offered in collaboration with state and federal emergency management agencies and includes courses on disaster management, microeconomics, and statistics, as well as internship and capstone requirements. Students must also complete 30 credits of coursework in one of six specializations: corrections, homeland security/emergency management, criminal justice, law enforcement, forensics, or game warden. Students must complete 62 credits of coursework to graduate, which takes most students four years. Graduates are prepared to pursue careers in law enforcement, fire services, corrections, emergency medical services, and industrial security enterprises. Applicants to this public administration and safety program must submit high school or college transcripts, or both if they have earned fewer than 60 college credits. UMFK is accredited by the New England Association of Schools and Colleges. Public safety administration degree programs vary in requirements and course offerings. Below are sample courses common to most public administration and safety programs, with information about related occupations. Public safety policy: This course covers the role of policymakers and policies in public safety. Coursework examines the creation and implementation of policies in areas such as transportation, education, public works, and types of communities. Students are prepared to understand, uphold, and implement public safety policy. Seminar in criminal justice: This course provides students with fundamental knowledge of criminal justice and law, preparing them to become effective and informed administrators and to work alongside police officers and detectives. Principles of public safety: Students learn to handle threats to public safety. Coursework includes case studies, which students examine to critique officials' responses. The course also covers risk measurement and disaster planning. Accreditation is the review process by which schools and programs are held to educational standards. Selecting an accredited school is crucial to the value of your degree. Unaccredited schools are often nonreciprocal, meaning that degrees and credits earned from these institutions may not be recognized by other institutions or by employers. Of regional and national accreditation, regional accreditation is more popular and widely recognized. Degrees and credits earned from regionally accredited schools are more easily transferred to other institutions. Some programs may also have field-specific accreditation. For example, public safety administration degree programs may be accredited by the Commission on Accreditation for Law Enforcement Agencies. The Department of Education and the Council for Higher Education Accreditation offer comprehensive databases of regionally and nationally accredited institutions. Choose an accredited institution to ensure you will be eligible for federal aid. Graduates with an online bachelor's degree in public safety administration often pursue careers in emergency management, environmental protection, and health services. Public safety professionals are dedicated and flexible, and they make quick decisions in emergency situations. Below are potential careers for graduates with a degree in public safety administration. These directors create and implement plans for dealing with community-wide emergencies, such as natural disasters. They work closely with law enforcement and government agencies and often assume leadership during emergencies. These specialists analyze working conditions and safety procedures. They ensure adherence to policy and create safety programs to prevent disease and injury in the workplace. Safety specialists with advanced degrees earn higher salaries and hold more prestigious positions. Fire inspectors locate and examine fire hazards within buildings and structures and ensure adherence to all federal, state, and local fire codes. They also investigate fires to find the origin of the flames. Some fire inspectors hold degrees or certifications in fire science. These managers work in a variety of roles, including managing public safety projects. They oversee community programs and services and supervise staff. This position typically requires an advanced degree. Although positions within most city and state police agencies require only a high school diploma, federal positions with the FBI or DEA require an advanced degree. These professionals ensure public safety and investigate criminal incidents. Careers in public safety administration are growing at a steady rate. Many of these jobs offer competitive salaries, particularly to professionals with an advanced degree. Earning an online bachelor's degree in public safety administration is the first step toward these career paths. The table below shows the median salaries for five potential careers for graduates of public safety administration programs. Financing a bachelor's degree can seem daunting, but public safety administration students have a variety of options. First, complete the Free Application for Federal Student Aid, or FAFSA, to determine your eligibility for federal funding, including grants, scholarships, and loans. Students earning a bachelor's degree in public safety administration may also find funding opportunities from local law enforcement agencies. Some large corporations offer degree-specific scholarships for public safety administration students.